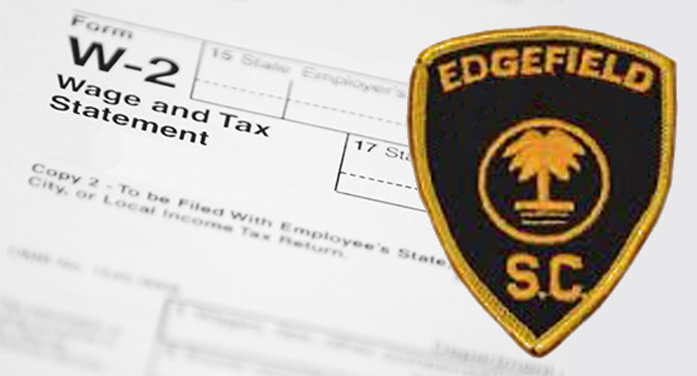 Edgefield County Council voted to approve salary increases for employees of the Sheriff’s Office in the final reading of the 2016-2017 budget at their monthly meeting, June 7. (See coverage of County Council in the June 15 edition.) The salary increases come after Council was approached by Sheriff Adelle Dobey who pointed out that the Sheriff’s Office has been losing staff (what Sheriff Dobey called “a lot of good employees” in an interview with The Advertiser) to other agencies primarily because of money. Administrator Tommy Paradise echoed this sentiment, as did former Interim Administrator Roger LeDuc, both of whom spoke to The Advertiser regarding these salary adjustments. Paradise reminded that not only are these employees valuable employees but that the County has a “sizeable investment” in them in terms of training, equipment, etc. Because of Sheriff Dobey’s appeal to Council to find a way to help his department become more competitive with salaries, former Interim Administrator LeDuc began looking into adjustments that could be made within the budget for these salary increases as he began the early work on the County’s 2016-2017 budget. A Salary Survey was also conducted by an outside, independent agency. This study gave Council an idea of where Edgefield County ranks, in terms of salaries, compared to neighboring and/or similar sized agencies. It looked at the minimum, midpoint, and maximum ranges of pay for uniform patrol deputies, detention officers, and dispatchers in 15 other municipalities, including Aiken County and the cities of Aiken, North Augusta, and Augusta. In each of the three ranges surveyed, Edgefield County was found to be below average for all three job titles. As a result of these findings, and of the work done by Administrators LeDuc and Paradise, Council and Administration, and the Sheriff’s Office to find funds, salary increases are coming to the Sheriff’s Office. That is the good news. However, as is often the case, there is some bad news. These are not across the board raises. As such, not all employees of the sheriff’s office will be seeing salary increases. As already stated, the salary survey covered only road deputies, jail staff, and dispatchers. Therefore, clerical staff and upper management, including the sheriff, will not see their salaries adjusted. However, Sheriff Dobey told The Advertiser that he is hopeful those not seeing salary increases at this time will see them in the near future. Administrator Paradise noted that one of the particular goals of these salary adjustments was to raise starting salaries. Another goal was to “competitively compensate” employees who have been on the job for some time. To that end, each employee was evaluated on an independent basis. Some of the criteria examined when deciding the salary adjustments was experience and tenure. Paradise said that road deputies were used as a baseline, and, from there, Sheriff Dobey and County Administration worked together to allot funds to the different positions that will be seeing raises. According to former Interim Administrator LeDuc, Sheriff’s Office employees can expect to see anywhere from $0-$1,000 increase in their salaries this year as a result of these adjustments. Additionally, The Advertiser was reminded that those unaffected by these salaries increases will still receive the 1% raise for all County employees, although this, too, has a grey cloud hovering. While all County employees will see the 1% pay raise, they will also see an increase in their retirement and health care benefits. However, Paradise said that he is hopeful the 1% will help off-set the rise in these areas. Speaking with The Advertiser regarding the salary increases, Sheriff Dobey said that he is “thankful and grateful” to Council, Roger LeDuc, Tommy Paradise, and Finance Director Bruce Cooley for working hard on short notice to find a way to make these raises a reality. He went on to say that not only is he grateful for the raises coming at this time but also for Council’s commitment to continue to look at the salary structures in the coming years. This commitment was acknowledged by Administrator Paradise when he told Council and The Advertiser that this is just a first step in the process of bringing salaries to where the need to be. He went on to say that the process could take 2-3 years to complete. The salary adjustments for the Sheriff’s Office will begin after July 1, 2016; the start of the County’s new fiscal year. Sheriff Dobey said that he plans to hold a briefing for his employees before that time on these adjustments. Additionally, salary increases are also planned for the Road Maintenance Department. While those raises have also been factored into the 2016-2017 budget, exactly which employees within that department will be seeing raises this year remains unclear as the Salary Survey for the department has not yet been completed. Administrator Paradise told The Advertiser that when the results of that survey are completed, County Administration and Road Maintenance Supervisor Jimmy Feagin will sit down and review the results much like what was done with the Sheriff’s Office.